When it comes to notable building materials, stone and wood have definitely made a name for themselves throughout the centuries. And why not, considering how fantastically versatile they both are, being able to style up anything from a rustic kitchen to a super modern living room? 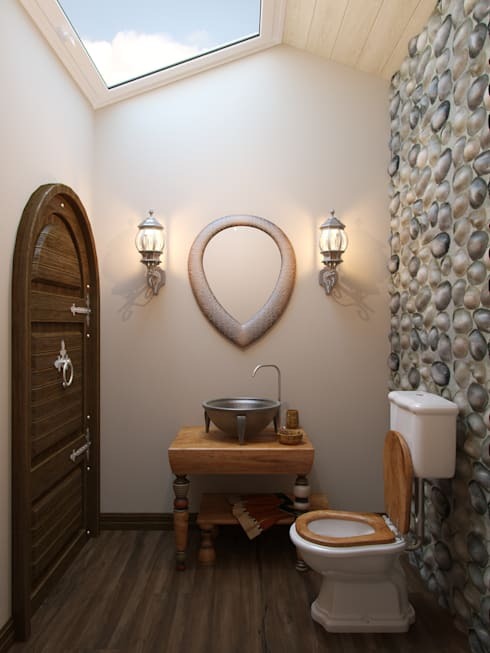 So, today we are going to sneak a peek at 11 bathrooms that manage to flaunt these two delightful materials in a variety of combinations, textures and colours – and who knows, these might just inspire you to clad your bathroom back home with some stone or wood. 1. 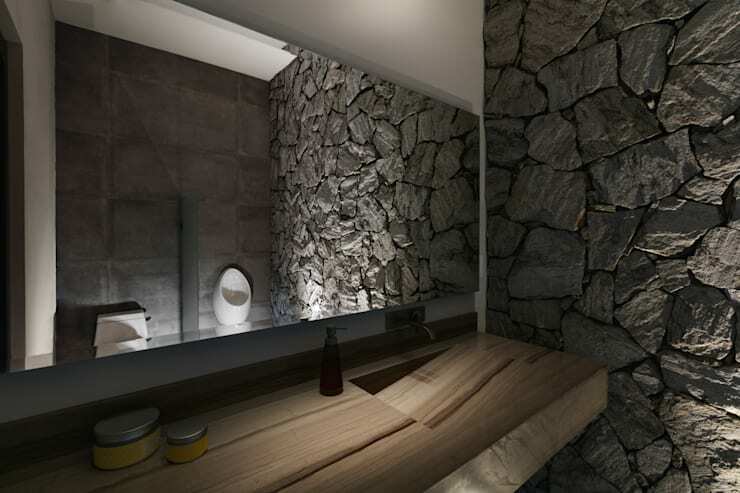 What an amazing focal point that stone-clad wall becomes! 2. 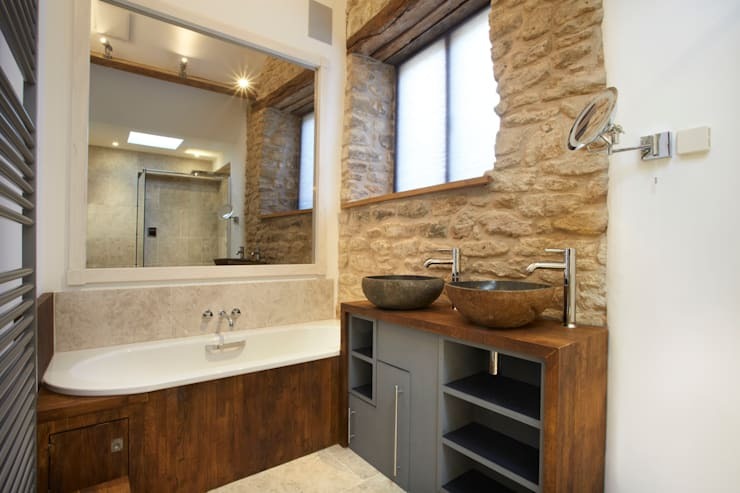 Mixing raw timber with natural stone? It doesn’t get more eye-catching than that. 3. 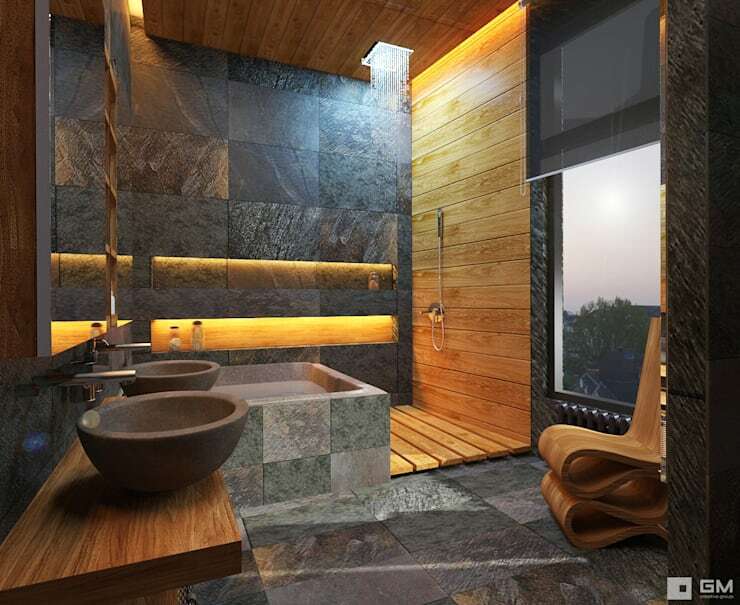 Coating both the wood and stone in deep colours ensures that this bathroom still flaunts a super sleek/modern look. 4. 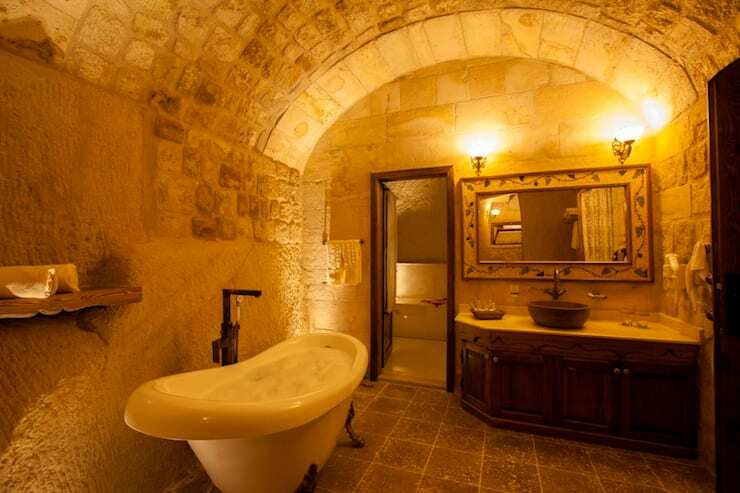 This bathroom is coated in stone from floor to ceiling, with the lighting ensuring a most unique ambience for bath time. 5. Speaking of lighting, how fascinating do those raw surfaces become once light and shadow are introduced? 6. Nobody forces you to use smooth porcelain basins in your bathroom. How about something more exceptional? 7. 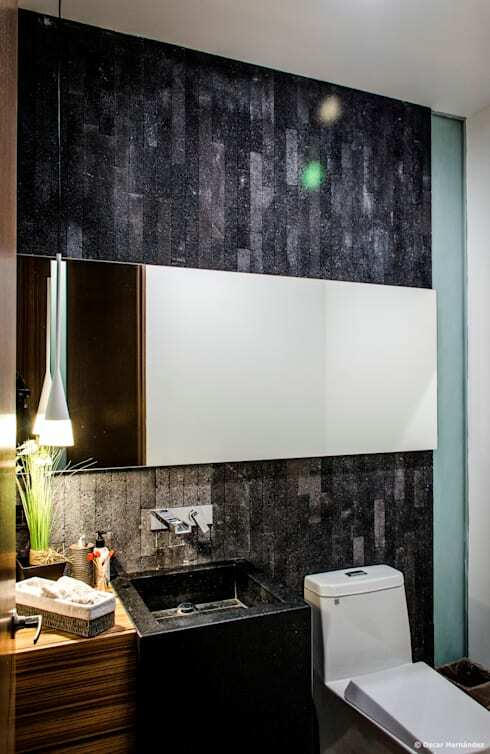 Raw stone in tile form mixed with timber panels ensures a rustic-meets-modern elegance in this space. 8. 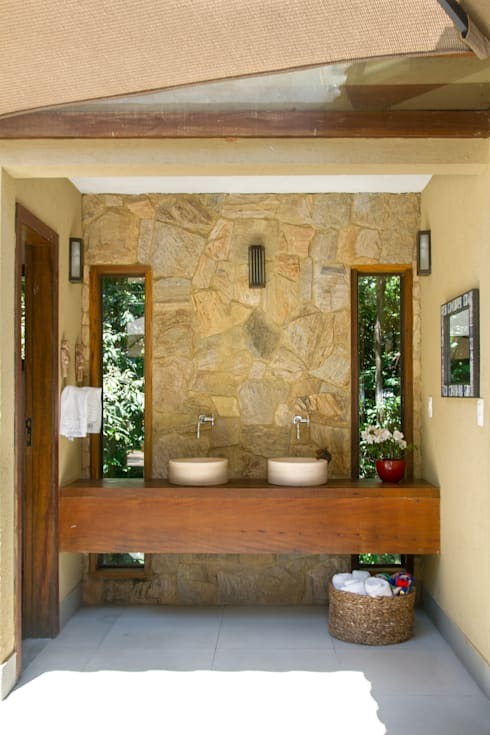 It’s as if this bathroom was carved out of stone and then treated to a simple timber ceiling. Such a raw and natural look! 9. See how those slim slits/windows usher in natural lighting to light up this rustic beauty. 10. 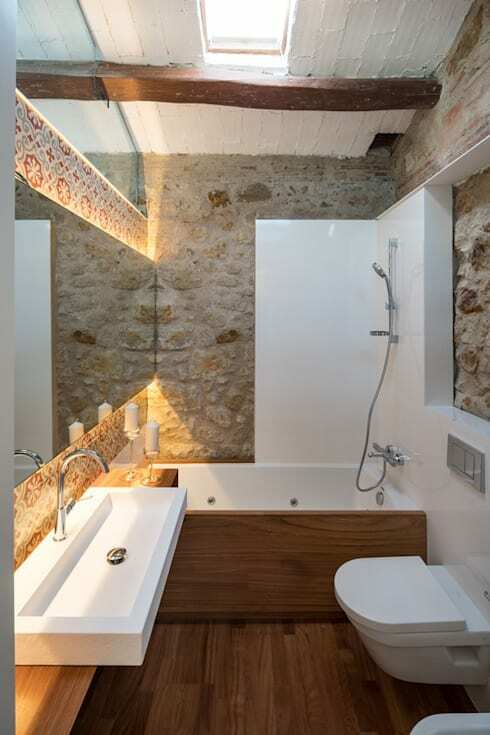 That backlit mirror becomes the star attraction in this raw and elegant space. 11. 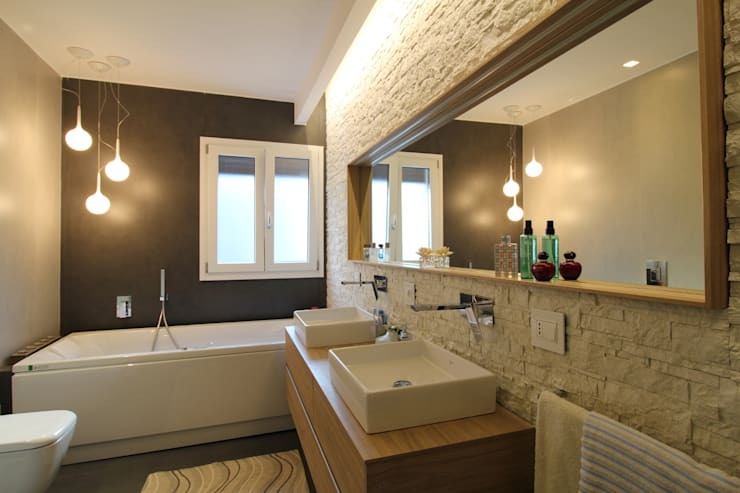 It’s small, yes, but its combination of textures and neutral hues gives this bathroom a truly unforgettable look. 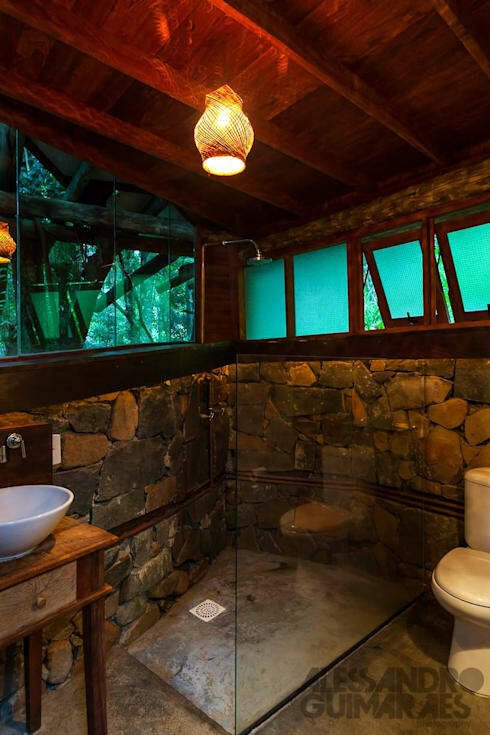 Up next: 20 gorgeous bathrooms where wood is the star. 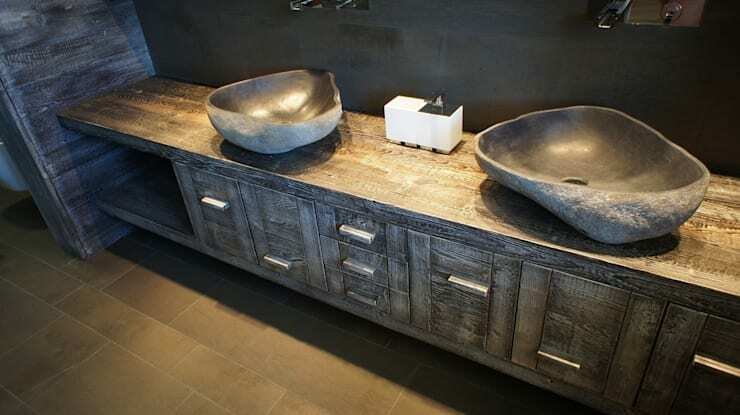 Are you brave enough to give your bathroom a stone-and-wood look?